MongoDB point-in-time backup and recovery. The article is based on a server installation with a minimum of 2G swap and secure Linux set to permissive. Download the Oracle software from OTN or MOS depending on your support status. 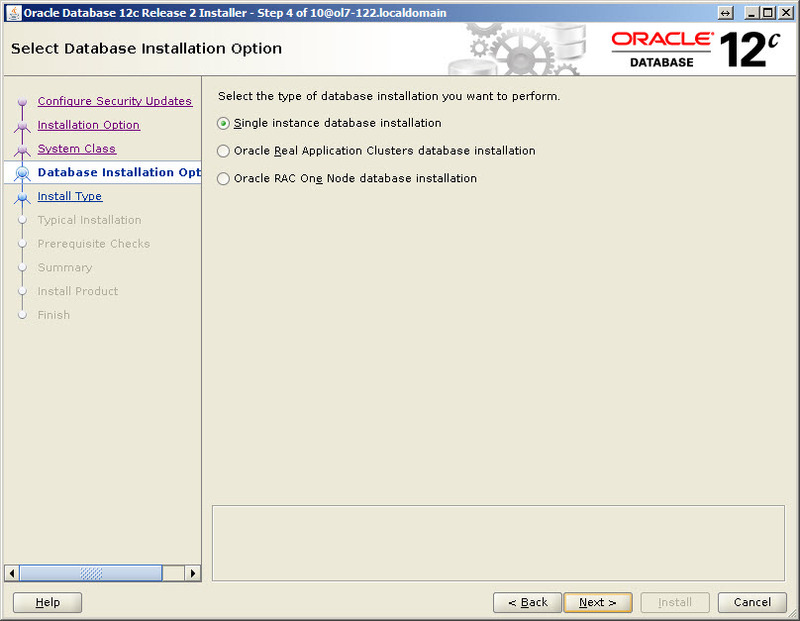 You should now have a single directory called “database” containing installation files. The “/etc/hosts” file must contain a fully qualified name for the server. Set the correct hostname in the “/etc/hostname” file. 1. Make sure that all the packages currently installed on your RHEL/CentOS 7 system are updated to their latest versions. 2. Add the following kernel parameters to /etc/sysctl.conf file. Run the following command’s to change the current kernel parameters. 3. Set the limits for oracle in /etc/security/limits.conf file. 4. Add the following line to the “/etc/pam.d/login” file, if it does not already exist. 5. Install all the required dependencies for the RDBMS, along with the zip and unzip packages. 6. 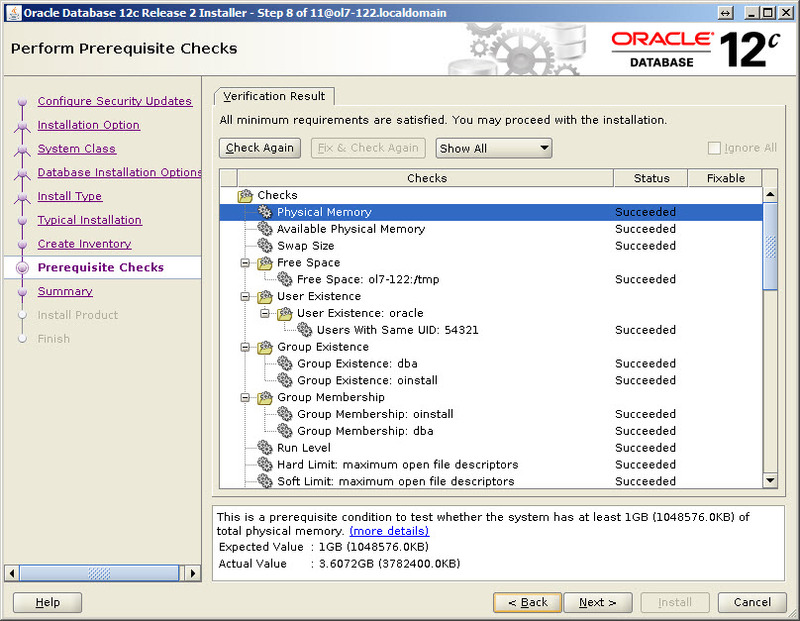 Create the user account and groups for Oracle. 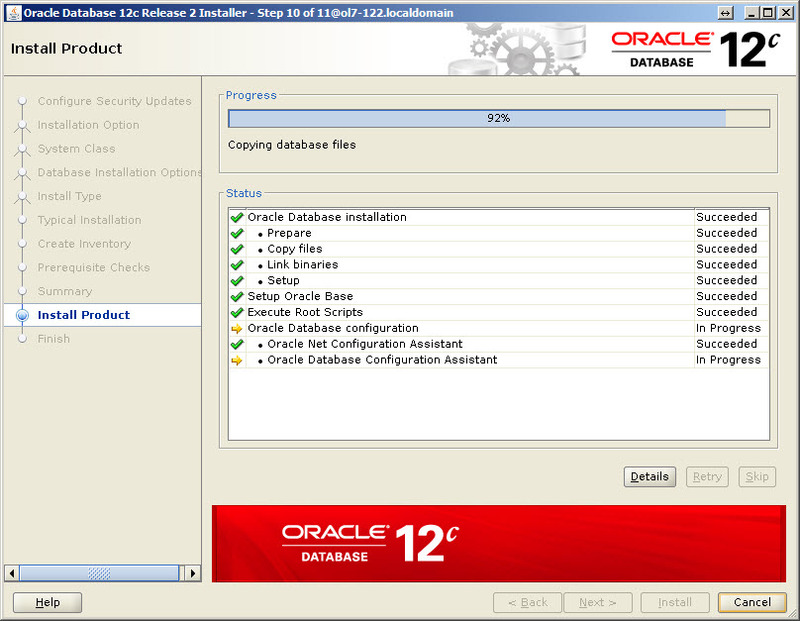 Finally, set a password for the newly created oracle account. Set secure Linux to permissive by editing the “/etc/selinux/config” file, making sure the SELINUX flag is set as follows. Once the change is complete, restart the server or run the following command. 8. 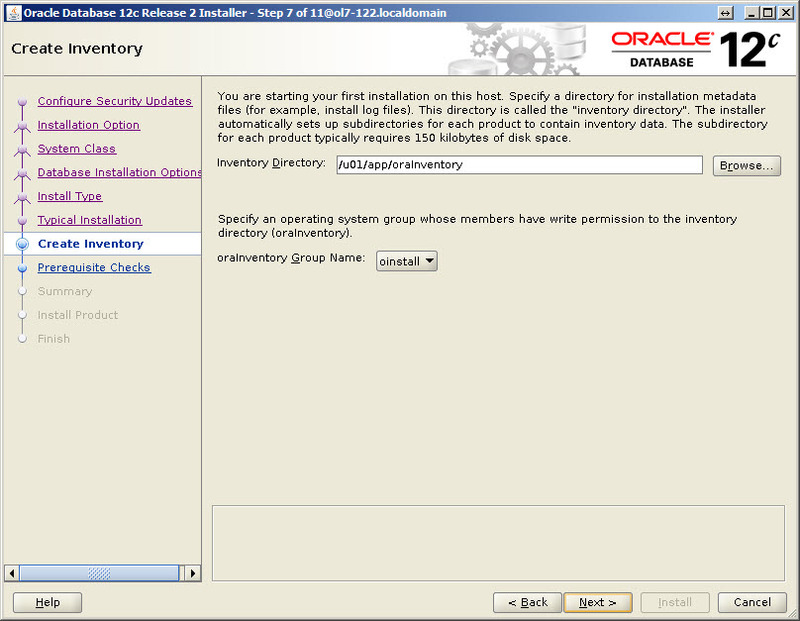 Before proceeding, create other directories that will be used during the actual installation, and assign the necessary permissions. 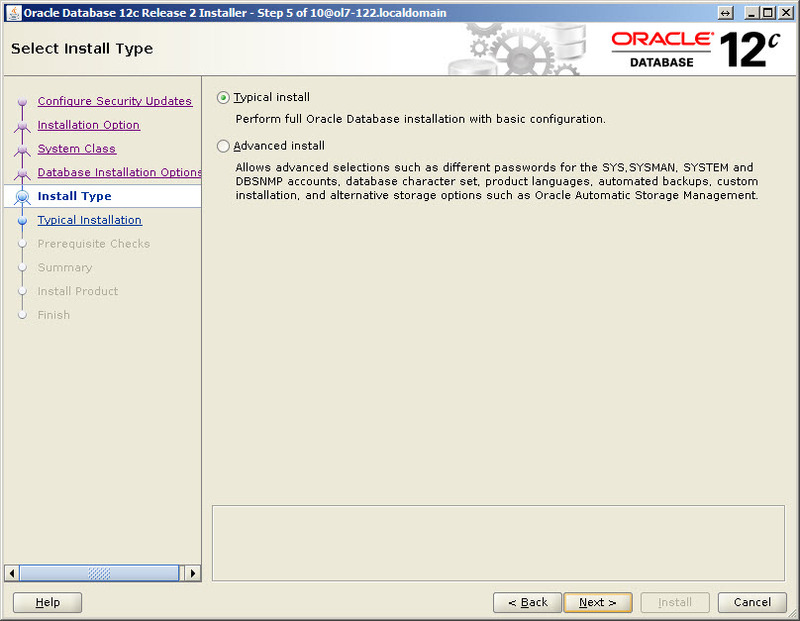 Login as oracle using the password that was chosen previously and add the following lines to .bash_profile file. Login to console as root and open a terminal window within CDE. If you are using X emulation then set the DISPLAY environmental variable. Open a GUI session in the RHEL/CentOS 7 server and launch the installation script. 1. 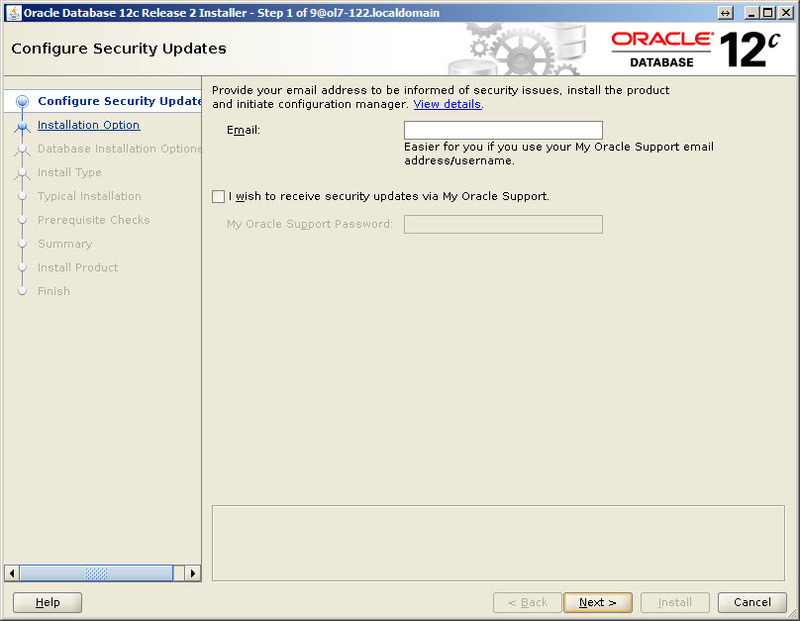 Enter the email address associated with your Oracle account (optional). When the oraenv script is run, it reads the oratab filefound in /etc to determine where the Oracle home for a given database is located. # Multiple entries with the same $ORACLE_SID are not allowed. The sqlnet.ora file is the profile configuration file. It resides on the client machines and the database server. Profiles are stored and implemented using this file. 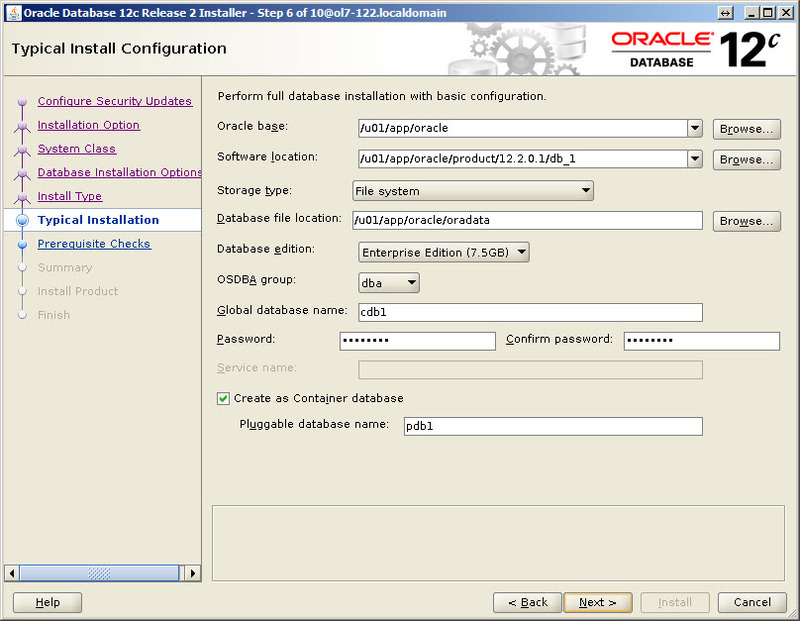 The database server can be configured with access control parameters in the sqlnet.ora file. Service "PRODSERV" has 1 instance(s). Service "prodserver" has 1 instance(s). Service "prodserverXDB" has 1 instance(s). The db_recovery_file_dest parameter defines the location of the Flash Recovery Area (FRA) and the db_recovery_file_dest parameter specifies the default location for the recovery area. To change the archiving mode of the database, use the ALTER DATABASE statement with the ARCHIVELOG or NOARCHIVELOG clause. Shut down the database instance. Change the database archiving mode. Then open the database for normal operations. You can switch to the log file to see that an archive is written to archive log location. Note: The actual value of LOG_ARCHIVE_DEST is specific to your environment. 1. Create a copy of the init.ora file. 3. Shutdown immediate and Startup nomount with the above pfile. Create scripts and environment file called “setEnv.sh”. 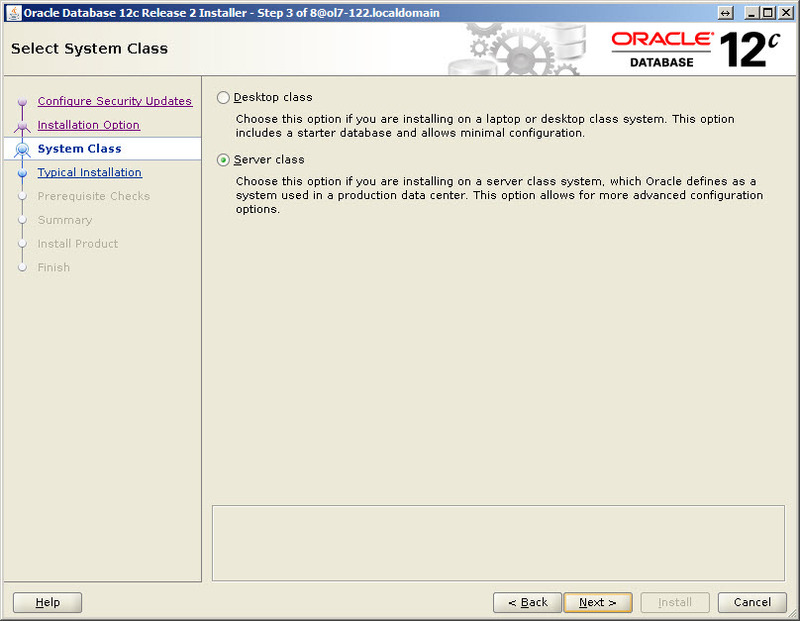 You should be able to start/stop the database with the following scripts run from the “oracle” user. Create the systemd service file called “/lib/systemd/system/dbora.service”. # systemd ignores PAM limits, so set any necessary limits in the service. # Not really a bug, but a feature. #       until all jobs are finished, which avoids mixing the status output with shell output of services. 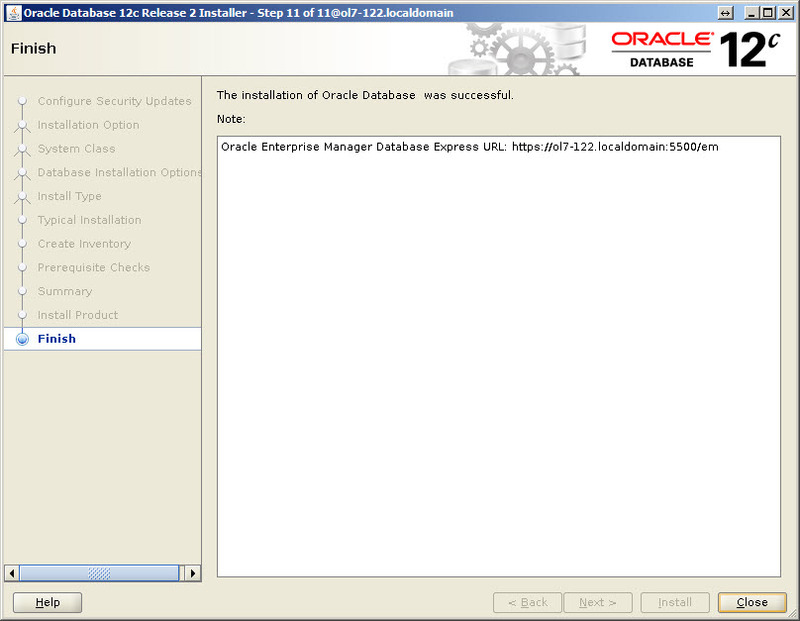 Aug 15 14:45:07 prodserver11 systemd: Started The Oracle Database Service. 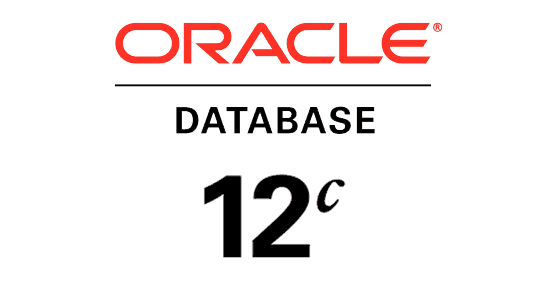 You should be able to start/stop the database with the following scripts run from the "oracle" user. 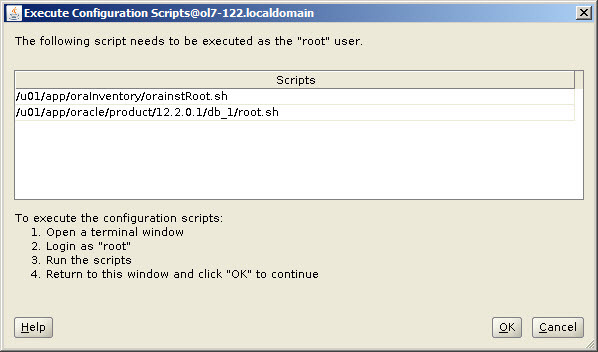 Create a file called "/etc/init.d/dbora" as the root user, containing the following. # description: Oracle auto start-stop script. # Remove "&" if you don't want startup as a background process. su $ORA_OWNER -c "/home/oracle/scripts/stop_all.sh >> /home/oracle/scripts/startup_shutdown.log 2>&1"
Use the chmod command to set the privileges to 750. Associate the "dbora" service with the appropriate run levels and set it to auto-start using the following command. 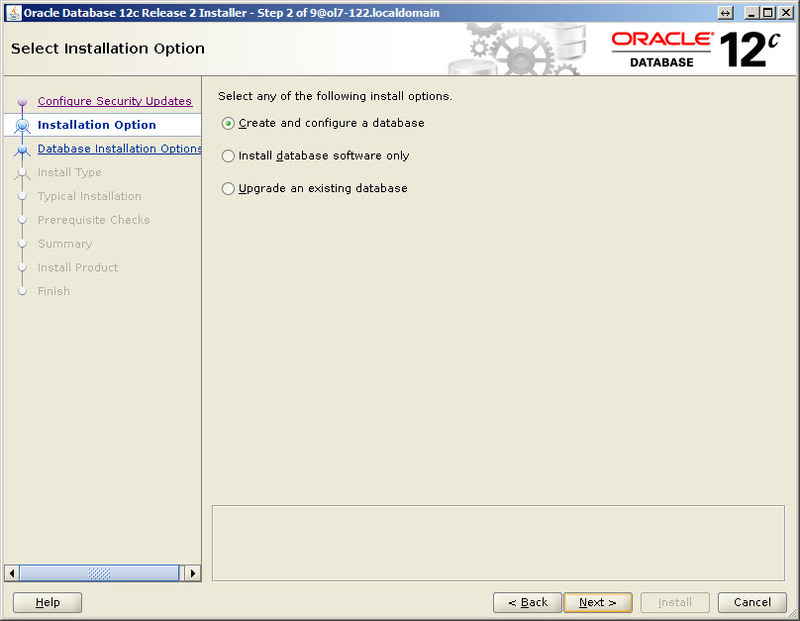 You can start and stop the database using the service, which is what will happen on a reboot.